hanavratilova been a Johnny’s Entertainment (JE) fans since 2007. Finally able to move on from Ya-Ya-yah’s disbandment, but during PMS still thinking they would be an awesome debuted group more than Arashi. Like Johnny’s Jr the most, Ikuta Toma can steal the number one spot though. Like almost every debuted group, from SMAP to Johnny’s WEST, but for now have fallen into Arashi’s charm. Adding LDH to her fandom list since 2013. A part-time Youtuber, an impulsive traveler and Snoopy lover. aciear finally got dragged to the fandom in late 2013 due to her travel mate’s persistency in promoting Arashi and other Johnny’s troupers (as seen above). Has been enjoying Japan through its doramas since Good Luck!! aired. Without knowing the concept of “Japan idol”, she naively thought that Takuya Kimura is an actor, her favorite actor. But now Ikuta Toma and Ninomiya Kazunari top her list. Highly addicted to dark blue. hanavratilova: I don’t know….. aciear should answer this question. But for sure it’s because we said “Yeah!” often enough. Is this blog limited to Japan and Arashi? Since we are fangirls of Japan and JE idols, especially Arashi, this blog mostly consists of our stories while traveling to that country and enjoying fangirling there. However, we may draw our luck to explore other part of the world and do fangirling (if possible). When it happens, we make sure to also share it here. You keep on mentioning ‘fangirling’, what is it actually? For us, fangirling means talking, discussing, sharing, acting, or anything that shows our affections towards Japanese Idols, specifically JE’s ones. This includes doing trips to “find” them by visiting TV stations, filming locations, Johnny’s shops, and many other possible places. So this blog is only for fangirls? Of course not. Fanboys are also welcome 😉 Anyways, we are also blogging about muslim travelers as we are muslims who love to travel around the world (with limited budget). To see what has been posted in this blog, please look up on the Masterpost page or click certain category under “Sketch” on the side bar. Simple. Because we are muslims and we fully understand that muslims need specific information while traveling. We share and review prayer rooms, mosques, halal food and restaurants, also other facilities that enable muslims to travel comfortably. We hope those posts are useful for our muslim brothers and sisters. Will the posts be in Bahasa or English? We mostly post in Bahasa. However, in order to reach bigger audience, we also provide English version of some posts. Check on the menu bar and click the English word there. Please be advised that we are not natives, kindly bear with our errors and mistakes. How often will you update the blog? You can expect a new blog post every other week and occasional posts in between. Can you help me to book the cheapest flight ticket to Japan? Can you help me with itinerary? Depends. You may contact us if you’re interested. How can we contact you for further information? 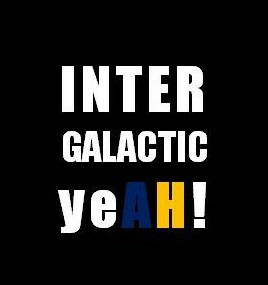 Kindly comment to this post or reach us by email: igalactic.yeah@gmail.com; or twitter: @intergalactic_y; and instagram: @intergalacticyeah. Questions, inputs, and requests are also welcome! Bonus question: Have you been to Arashi’s concert? Up to now, that’s our ultimate goal! Pingback: Universal Studio Japan: Snoopy Studio – Intergalactic Yeah!